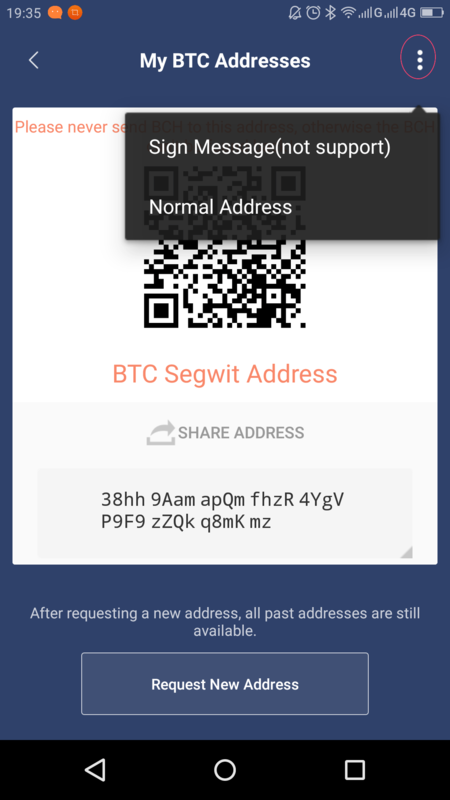 Normal Address switch Segwit Address. Bottom Menu — Setting — Address Book. Click time to press Address Label for editing and deleting. Long time to press Address for copying it and generating QR Code. Reminder: Each time when you complete a transaction, your receivable address will change and the old address can be found in your historical address that is on Bottom Menu - My - My address - Recipient address. You can Click address for a long time to add it in Address Book. And then you can remark it to distinguish. 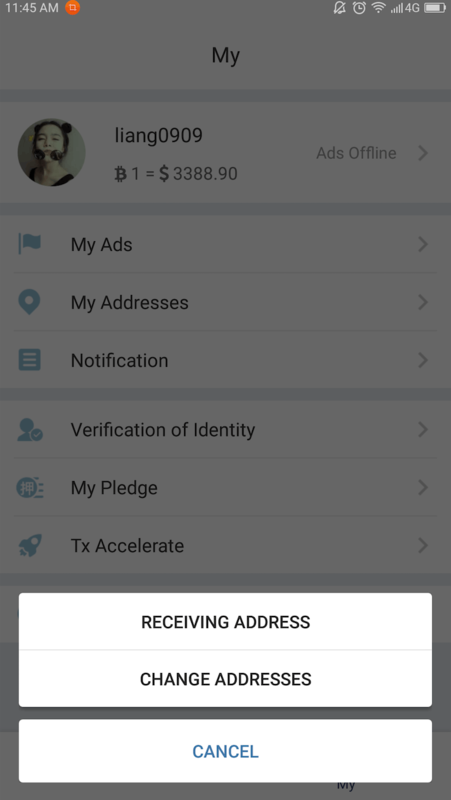 The old address can also normally receive Bitcoin. 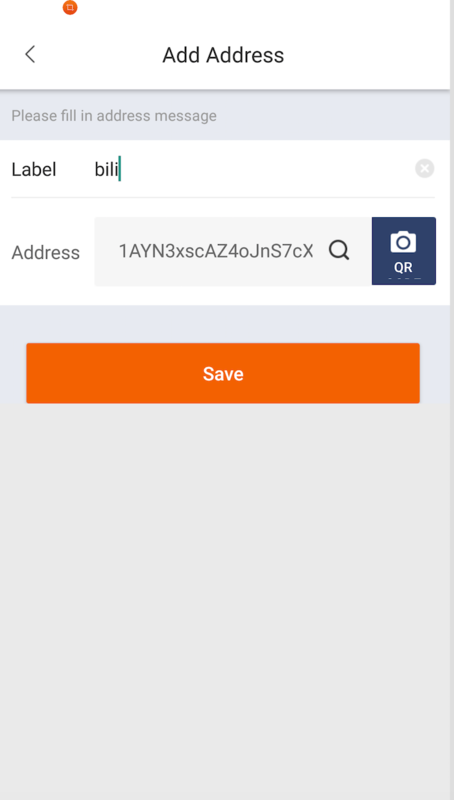 Please never send BCH to this address,otherwise the BCH can’t be found back! 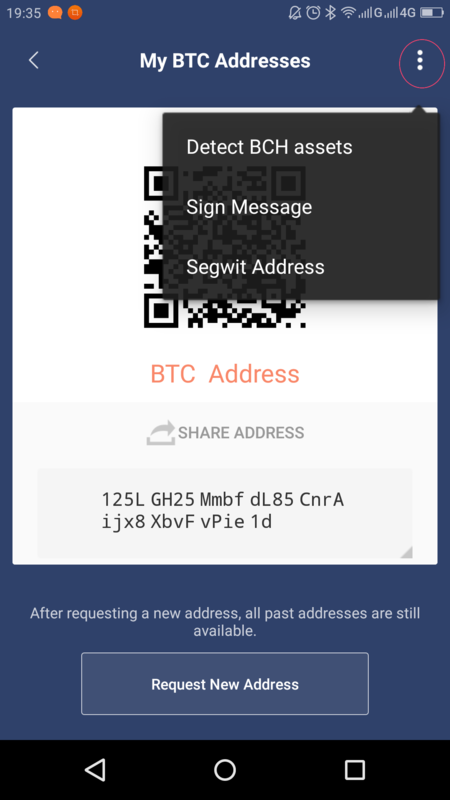 Three in the top right corner,Choose Segwit Address. Three in the top right corner,Choose Normal Address. The address in Address Book is maybe not yourself address.